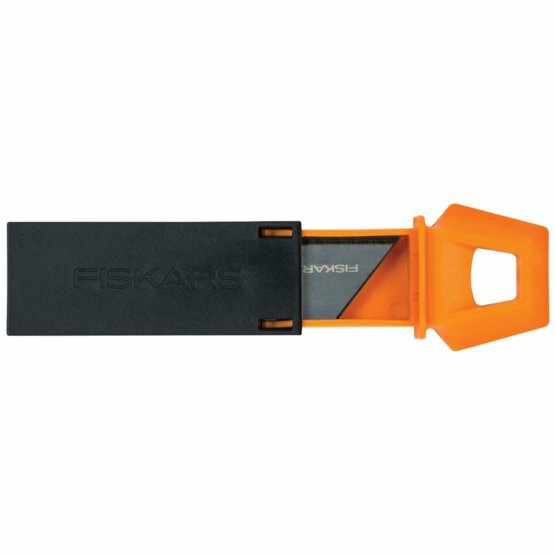 Replacement blades for Fiskars Pro CarbonMax™ utility knives, designed for general purpose cutting. CarbonMax™ blades feature Fiskars’ proprietary, edge-retention coating that stays sharp up to 24x longer than standard utility blades. The blades have been extensively laboratory tested and verified. Pack includes 10pcs blades and fit non-Fiskars knives as well.